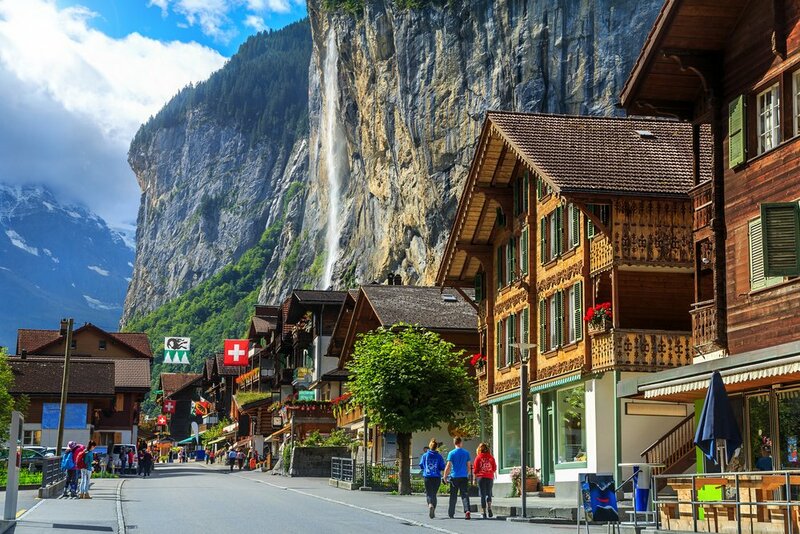 With its bold, majestic landscape of snow-capped mountain peaks and its lakes with perfect surfaces of mirror and glass, it’s hardly surprising that Switzerland attracts people from all over the world. It offers a quality of living that can be hard to acquire elsewhere. It’s indubitably one of the jewels of Central Europe. Its beautiful, elegant cities, including Zürich and, of course, Geneva, are hives of smart, upscale living, with a very international demographic makeup. But, as with anywhere, if you’re thinking of making the move to Switzerland, there are things to think about before taking it any further. Relocating to Switzerland means paperwork, customs issues, transportation and other practicalities, many of which need considerable forethought and planning. First, the up-sides. Switzerland has excellent international schools. The country is divided into 26 ‘cantons’ (e.g. Zurich, Glarus, Geneve) and the school system is slightly different in each one. In some cantons pre-school education (ie for children younger than five) is compulsory, in others not. For schools that follow the British curriculum, you have to go private; not only extremely expensive but also oversubscribed, with long waiting lists and located only in the big cities. Most expats opt instead to send their children to local schools, booking an intensive course in the local language so that their children can keep up once term begins. As with many things in Switzerland, childcare is more expensive than perhaps anywhere else in Europe; this is something to consider if you’re moving with children younger than school age. Once school matters are settled upon, new inhabitants of Switzerland will swiftly discover that it’s among the finest places in the world for children, with every conceivable outdoor activity, from skiing to watersports to swimming, in easy reach. Making new friends, visiting parks, museums, mountains, and lakes… it’s all in abundance. Family homes are exorbitantly pricy in Switzerland. In what is a very competitive market, it may make more sense to opt for a rented apartment. Since there’s so much open space just waiting to be visited, it’s OK to sacrifice things like a private garden (hard to come by anyway). Since competition is fierce, the search for a place to live should be undertaken well in advance of the move. The best situation is if your company can look after housing or at least assist you with it. Switzerland’s healthcare system is based on compulsory health insurance. In order to access what are exceptional, first-class public facilities, you need a private health insurance policy. Basic health insurance will cover you in most eventualities. For access to the country’s private facilities, a more expensive kind of health insurance is necessary. Provided you’ve had your pets for over six months, then moving them with you should be no problem. You will need the following to be in place; microchips, vaccinations, pet passports. In some cases, additional conditions need to be fulfilled. This can affect people with ferrets, birds, cats and dogs. Provided you can show certain proofs (e.g. rental contract, employment contract), then bringing you car as part of your ‘household effects’ should be reasonably straightforward. If the car is recently acquired (ie newer than six months), then it becomes slightly more complicated and both customs duty and local sales tax apply. The customs charge will be assessed based on your vehicle’s weight and cubic capacity. Regardless of your car’s age, you will also need to register it by visiting the customs office. Although the country offers a high standard of living, it’s at a cost. In fact, Bern, Zurich and Geneva frequently land in the Top Ten in ‘cost-of-living’ surveys. Fortunately, this is reflected in how well things work. The country has a streamlined infrastructure and its public services are second to none. Switzerland has retained its own currency, the Swiss Franc, and you can manage your affairs via an international bank (e.g UBS) or, if you’re confident in the local language, use a local, cantonal bank which will have lower bank charges and also charge less for individual transactions. This is a country that’s all about integration. Given that there are four national languages and quarter of the population come from overseas, most cantons have official Integration Offices. These are places that provide practical advice about how to join in day to day living, access leisure activities, find free or affordable language courses and even organise get-togethers. It helps to understand a little of Swiss local culture before you move. This is not a culture of after-work drinks, so getting to know people is more a case of joining clubs and social groups. There are folklore festivals and local traditions and there’s also a kind of Swiss etiquette that’s worth knowing about. Punctuality is a valued concept in Switzerland; being even minutes late can be seen as profoundly impolite. The exception to this is if you’re invited to a party; then, it’s appropriate to be about fifteen minutes late. Handshakes should be firm and accompanied by eye contact and questions about someone’s work or income are considered to be grossly invasive and vulgar. If you’re invited somewhere, consider bringing your host/hostess a small present; flowers, chocolate, a bottle of wine or a book. There are differences in etiquette between the different cantons, so do look make sure you familiarise yourself with the social norms and mores of your chosen canton. Move along, move along, something’s gone a bit wrong!